We are looked upon as one of the prime Pure Rubber Sheet Suppliers in India. The unmatched quality and exceptional performance attract various industrial segments to place repeated orders for the Rubber Sheets. Moreover, we provide Abrasion Resistant Rubber Sheets that comply with international standards. 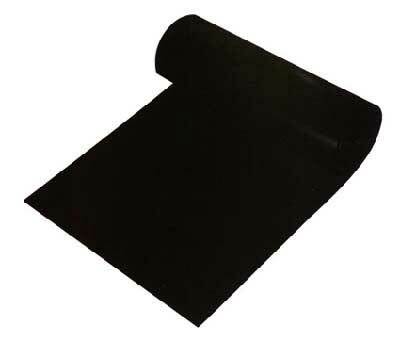 Rubber Sheets are available in all grades including electric shock proof, food grade, neoprene, Natural rubber, M 24 grade for shot and sand blasting, rubber for lining purpose in blast rooms. Also, we offer sizes according to customers specifications.